The MPG Marking Knife is the ultimate edged weapon training tool designed to leave a high-viz cut mark where ever the edge strikes. 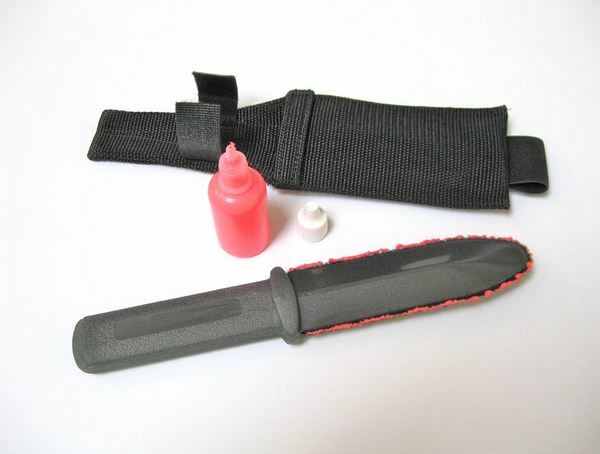 It is a safe plastic molded knife with felt edge blade that leaves its destinct ink mark. The felt on the edge of the blade is easily coated with the same marking agent as the Force on Force marking projectiles for superior performance. 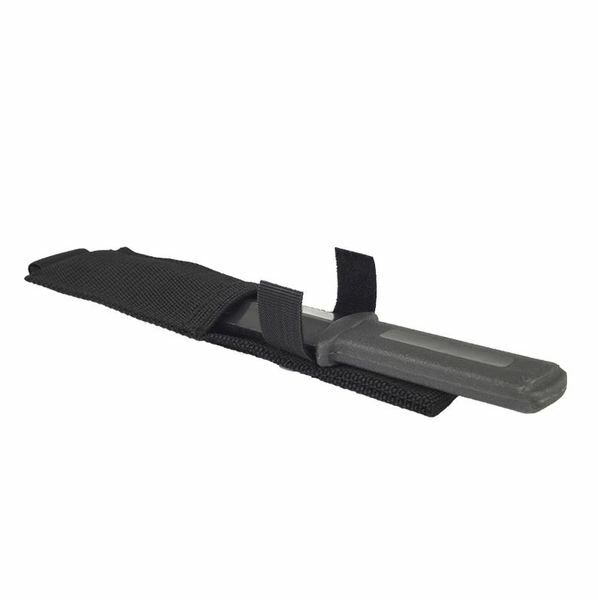 The edged weapon training kit comes with a marking knife, a bottle of marking agentand nylon carry sheath.